A shortage of imported consumables has forced gold miner RioZim, which is listed on the Zimbabwe Stock Exchange, to suspend operations at three of its gold mines, the company has said. 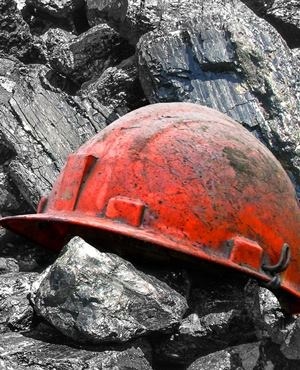 Operations have been suspended at Cam and Motor Mine, Dalny, and at Renco Mine, said the miner in a letter to the Reserve Bank of Zimbabwe, which is responsible for allocating foreign currency in the southern African country. According to board chairman Lovemore Chihota, the company had run out of cyanide, activated carbon, explosives, as well as spares for the repair of equipment among other items. “As you are aware, the stocks of critical imported consumables and spares ran out due to an acute forex shortage including cyanide, activated carbon, caustic soda, explosives, forges steel balls, spares for the repair of crucial equipment and numerous other items,” said Chihota. "As you know, over the last 30 months, RioZim has only received 14% of its money in forex against a Reserve Bank directive of 50% directly to our nostro account and 50% through application to the RBZ. "In the nine weeks preceding the course of production at the mines, we have received almost no foreign exchange," said Chihota. Earlier in October 2018, RioZim threatened to take legal action to force the central bank to pay it in U.S. dollars for part of its output, signalling impatience by mine houses over acute dollar shortages afflicting the economy. RioZim, which also operates Murowa Diamonds, said the apex bank had for some time failed to pay U.S. dollars to the miner. “The situation is thus unsustainable and prohibits the Company’s ability to operate viably and maintain its production,” the company said at the time.